In choosing Love to be what grows in our personal and collective life, we also choose what is weeded out... what no longer serves... what is not life. 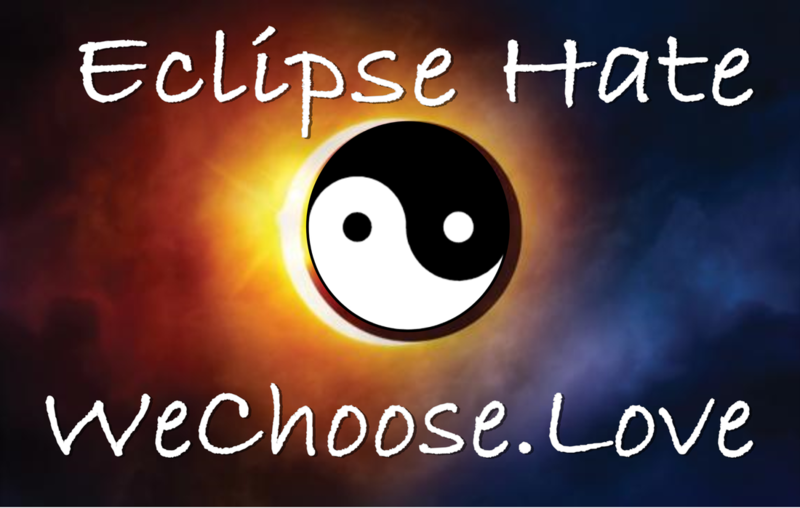 During the eclipse on Monday, I will be looking within... what can I root out of my heart that may be connected to thoughts of hatred, racism, violence, fear, war, patriarchy, dominance, slavery, victimhood, and on and on and on. The very Root of Hate must be pulled out of our consciousness and when enough of us pull those roots out - we hold a field for all to easily move out of those energies/thought patterns/systems. My meditation today led me to see that root totally pulled out of my space. A friend said to us yesterday that she sees Andras and myself as 'living close to the Divine.' How precious to see us with that perspective... and how grateful we are to be seen! The past two weeks my personal inner journey has been with my endocrine system. I felt the connection where my Vagus Nerve stimulates my heart which pumps into my endocrine system the hormones, proteins, and impulses which then become the aura. The frequencies, pheremones, hormones, and emanations from the endocrine system are the gel that holds us together. This is the dimension of the plasmic fluid fluorescent colors of the light body. Today I felt psychic energy and the endocrine system merge to formulate my greater auric field. the Mind and Heart... our emotions are tied to our endocrine system... cancer affects the endocrine system... life cycles are governed by the endocrine system. The fourth dimensional light body meets our third dimensional form in the endocrine system - our emotional body. All thoughts of some force that is greater than us, controlling us, or dominating humanity are false thought forms and belief systems. We have ultimate power over our own lives and choices - that's the free will zone. Now it's time to take control of our lives in the 4th dimension and stop allowing the 'programmed energies' to rule our lives and feelings. In 2011 we launched the LuvHut... a facebook group with the intention of creating safe space in the Astral realm. It's grown over the years and our knowings have expanded as to how to navigate through the 4th dimension to allow higher frequencies to ground in 3d and our physical form. This practice and 'work/play' led the way for our Heartist.us Journey and the global activation of the 4th dimension in our consciousness and daily lives. During the eclipse of 2017... turn away from the sun and the darkness in the sky and turn toward your own inner light and darkness... your duality within. See and become aware of your own darkness and shadow... how you are connected to the lower thought forms emerging in our world today. And simply choose Love. Choose to cut off and separate from weeds that would destroy your garden's crop of Love. Together... with many of us doing this... we will allow those unhealthy and dead ways of thinking, being, and doing to be deleted from our program for the future. In full faith and conscious intention, we step into a new day of new building, new harvesting, new creations, and new life. Know it... Be it... Do it! 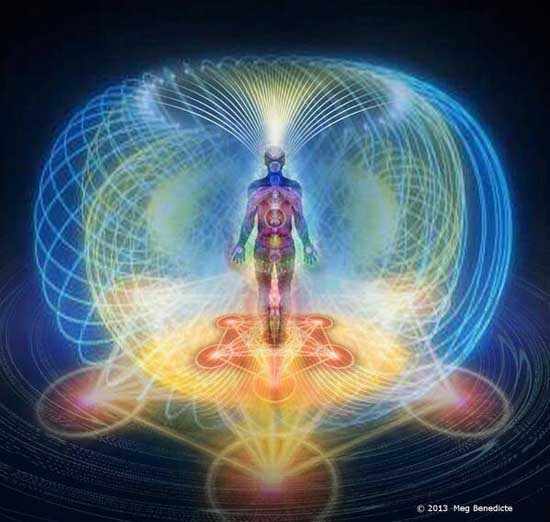 Go beyond thought and feel it... Master the 4th dimension in your life... clear all the way through. I enjoyed our most recent hug and eye to eye while in San Jose during your 2013 call for devotees to Volunteer for a Better America. It's always a joy to be with you in person, as well as in the Inner Realms. 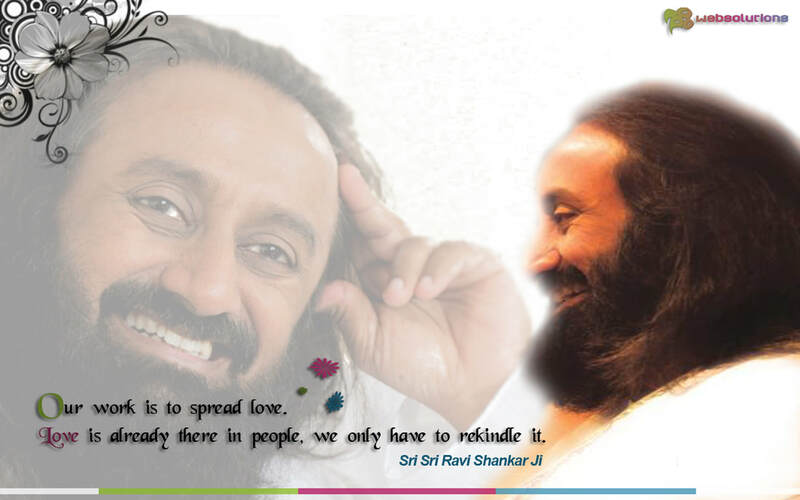 I became a teacher with Art of Living at your request, so I could open Hungary for AOL programs. It has been my honor to do that - to open Hungary as well as opening the Big Island of Hawaii. While I've not stayed with the foundation as a teacher, I continue in the practice and share introductions to the course, referring people to Art of Living continually. My personal consciousness expansion has continued beyond my original Yogananda training, through AOL TTC 1 & 2, and into my own 'monkdom.' Your call, in San Jose, to serve humanity in community, was the message we were also receiving and have dedicated our lives to. My partner, Mayana, and I established a 501c3, Peace Production, with the mission to produce peace in the heart of humanity. We attended the event in San Jose with intention - for your blessing as we began a journey across the USA to feel the heartbeat of humanity and how the energies were affecting people. In these pivotal moments, as science and spirituality find their way to one another - we are called to a new Heartist.US Journey through the Heart for Humanity. From Mt. Shasta, California at the root of Gaia, through the Heart of Europe, we help humanity find their roots. The feminine heart chakra of earth in Dobogoko, Hungary and the masculine heart chakra at Chalice Well, Glastonbury, UK - meet together in the vesica pisces birth portal where the Bad Antogast, German Ashram lies. Also in the portal is the Hadron Collider at CERN, Switzerland. While there are deep meanings behind each location we go to on our journey, my reason for reaching out to you - and Art of Living - is to invite a shared consciousness across the planet as we infuse the Heart of Humanity with love through intentional action and breath. By breathing together, all over the globe at the same time we are present in Germany (October 26-28 tbd) - humanity will receive a heart infusion. We have also invited Centers for Spiritual Living Global Outreach program to align with the journey, and they have responded well. By having a team of travelers who represent various teachings and traditions, the programs will be rich and full. We ask your blessing and unified intention for this momentous calling we are responding to. In Gratitude for all you ARE and all you Share for Peace within.